Tonight’s journey is my first taste of a Hungarian train. At first sight it looks quite unusual here on platform 14 of Munich HBF, surrounded by modern high speed (ICE) trains. The Kalman Imre is actually more than one train at this stage of the night. 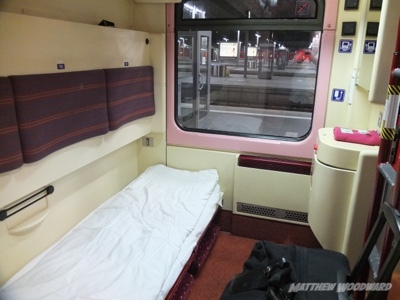 It is made up of just five carriages – a sleeper and a coach to Budapest, a sleeper and a coach to Zagreb and a coach to Venice. During the night there will be much railway shuffling. More of this later. My carriage is number 263, in the middle of the train. It is a distinctive and rare looking Hungarian sleeper, painted light blue. At one end a steward called Oscar greets genuine passengers and stops drunk German’s looking for the last train to Stuttgart from getting onto his carriage. His face says he is used to this. He studies my paperwork and ushers me aboard. I’m in berth 11, which happens to be the very first one in the carriage. That’s bad news for me as it will be a bumpy night over the wheels, but at least the toilets are at the other end. The carriage next door is locked off to prevent any InterRailers heading to Croatia sneaking in. I have booked a single berth compartment, which in effect is just blocking off a three berth one and using it for single occupancy. As I booked it at the last minute I have had to pay an exorbitant “full” fare (£170), but all my other plans work around this train so I have taken the hit. By comparison, on the Romanian leg later in the week, the same set up and nearly twice the distance, cost me £80. Oscar comes to see each passenger to explain how the lights and the door locks work. There are three locks on the inside of my door, and I’m not sure why we need to be locked down like Fort Knox tonight. With that done he wishes me goodnight, but before he leaves I ask him for a spare pillow. He stares at me blankly, so I show him my single pillow and hold up two fingers. “One bed, one pillow” he says. “But I have paid for three beds..” I remind him. He ignores this and retreats down the corridor. I thank him for his help and go digging in my bag for the secret key. If you have followed my adventures before you will know that I can open pretty much any door or compartment on most trains. All I need to do here is unlock and pull down an unused berth and then get a pillow myself. I hope you don’t think this makes me a bad person. With this secretive pillow hijack completed, Oscar then surprises me by returning with the fabled second pillow. I don’t think he notices what I have done, which is just as well. This has happened to me before, and my guess is that he had not realised I had bought a single compartment, maybe he was thinking I was just a lucky lone passenger in a triple. After this incident he seemed much more helpful..
For some reason I had imagined there would be border formalities during the journey, but of course I was wrong – this journey was all inside the EU and the Schengen rules were in play. 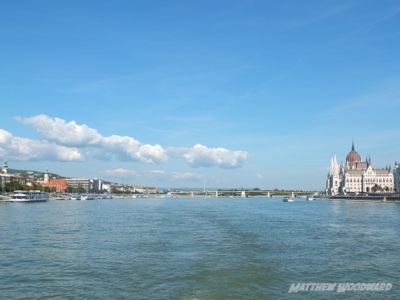 We spent much of the night in Austria, and after leaving Vienna at 06.00 we then crossed into Hungary at about 07.30. I lay on my bed dressed and ready for action but dozing occasionally until Oscar served me a breakfast tray at about 08.00. This consisted of a risky chicken sandwich, a croissant in a sealed bag that was guaranteed to be fresh for several years, and instant coffee. I passed on the food, but needed the caffeine badly. We pulled into Budapest Keleti station at 09.24. As The Four Seasons would say, “Oh what a night”..
Oscar, still in nice first class mode, helped be get my bag onto the platform and wished me a good day. The sun was shining, and the station felt different to those of the day before – less ordered and full of people selling random things. This included lots of books. I contemplated picking up a cheap copy of “The Greatest Chess Moments of the Twentieth Century” before deciding I needed to find a shower as a priority. Shopping for exotic paperbacks could come later. Doing my best to avoid a classic train station taxi scam, I still managed to fall for a mild version of the train station taxi scam, but it was just a non metered slightly inflated price in Euros, nothing to feel too bad about. Time to explore Budapest, which was looking amazing in the late September sunshine. Matthew, I was telling Nicky all about your magic key last week. We were on the overnight from Vienna to Dusseldorf and she wanted an extra pillow. Unfortunately I'm not as crafty as you nor could i get my hand to the spare (three bunks in ours as well). I must get one before our a trans Sib adventures. Keep up the good work, loving the journey. 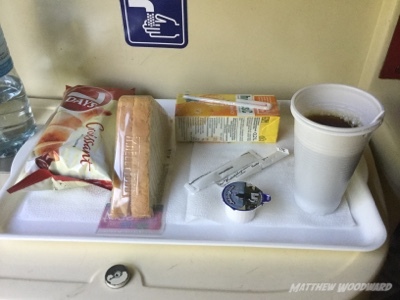 Hi Rob – no locked berths on the Trans-Sib trains. Suggest an early charm offensive to get on the right side of your provodnitsa! Hello Matthew, I was wondering how did you get the ticket? 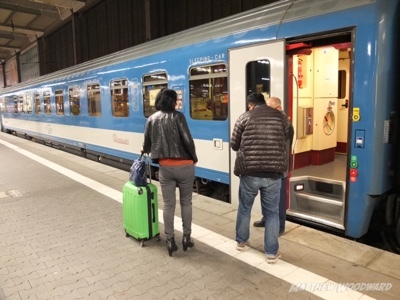 Cause Hungarian train web site says: "Please note that home printing of international tickets is not possible. International tickets booked online must be collected at any of the Ticket Collection Points located at railway stations in Hungary before your journey." Hi Maria – I think I used the UK English speaking office of SNCF – they ticketed me all the way as far at Bucharest. I did it over the phone and they posted them to me. Online seemed to have some problems, as not all options were showing.